We are looking for compassionate, enthusiastic psychologists to join our growing practice in downtown Boston. As a startup practice, candidates have a unique opportunity for leadership and growth. Everyone matters here. Each employee plays a critical role in our success, and our staff are our greatest asset. Our goal is to create a vibrant work environment where psychologists want to grow and stay over time. We have a well-developed business infrastructure, a fully HIPAA compliant practice, and a steady stream of referrals to match you with your ideal client. We offer insurance credentialing, integrated training, CEs, and clinical consultation. We also provide a comprehensive benefit package, including scheduling flexibility, guaranteed family leave, competitive compensation and bonus structure, and retirement benefits with a company match. Our ideal candidate is independent, motivated, ethical, and passionate about clinical work. They will be able to effectively diagnose, treat, assess risk, and measure outcomes with adults of diverse identities and backgrounds who present with a wide range of presenting concerns. Clinicians will provide at least 20 sessions per week, join us in meaningful collaboration and consultation around clinical cases, and be eager to develop both personally and professionally. We welcome candidates who yearn to make an organizational impact and grow to take on additional roles and responsibilities over time. We are prioritizing applicants with expertise in any of the following areas: perinatal mental health, ACT, CBT, IFS, psychodynamic therapy, couples therapy, and/or group therapy. Top candidates will value diversity, prioritize professionalism and documentation consistent with psychological best practices, and have strong self-awareness. They will feel inspired by our mission to promote healing relationships and values-directed living, and they will join us in creating a flexible, respectful, and fulfilling work climate. Proficiency in organizational, conceptualization, and writing skills. Full-time APPIC-listed Pre-Doctoral Health Psychology Internship. 9/1/2019-8/31/2020. Harbor Care Health & Wellness Center, Nashua, NH. $30k + Health & Dental Insurance available Email cover letter & resume: Tracey Lane, t.lane@nhpartnership.org. Call/text Susan Vonderheide, Ph.D., APRN, Internship Director for internship brochure at (603) 320-4064. APA accreditation on contingency in process with APPIC mentor. The Beacon Assessment Center, a program of Beacon ABA Services, specializes in assessing children with developmental, learning and behavior challenges. Our team of licensed psychologists and speech language pathologists provide clinical services to children in satellite offices across Massachusetts. Our assessment centers are located in West Springfield, Leominster, Dartmouth, Rockland, Milford and North Andover. We are seeking a Licensed Psychologist with experience in early diagnostic testing for autism or pediatric neuropsychology. They will also be responsible for participation in multi-disciplinary assessments and clinical treatment teams. 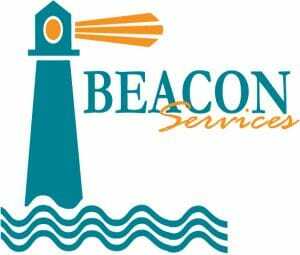 Please submit your resume to hrrecruitment@beaconservices.org for consideration. Looking for a job? Check out Psych Central Professional’s Jobs in Mental Health, Psychology & Psychiatry.